When thinking about which outfit to wear each day and on every occasion, you can’t help but think about your accessories. We’re not just talking about jewellery, we’re also referring to all the objects we carry with us because they serve a specific purpose and are useful. Naturally, even in this case it’s important to choose your accessories with care. They’re important details which help to define our style and make the world see us for who we really are. Among our accessories you’ll find both actually jewellery, such as cufflinks for him and charm pendants, as well as functional objects such as key chains and sunglasses, dedicated to both men and women. Discover Nomination’s high-quality Made in Italy accessories and you won’t go unnoticed: for yourself or for someone you love, choose the precious details that best suit your style! There are many accessories dedicated to him: from cufflinks to sunglasses to key chains. Designed for men, stainless steel cufflinks add a touch of sophistication to any outfit: discover those from the Voyage line for a contemporary style, or choose the Montecarlo or Class lines if you’re looking for a more classic accessory. Dedicated to the modern man with impeccable taste, there are numerous key chains made of stainless steel with details in enamel, Swarovski gemstones and fabric: discover all the models from the elegant Class collection. A fashion accessory which completes not only the most trendy spring and summer outfits but also those in the winter are sunglasses. Discover the men's offering from the Nomination Sunglasses collection: high-quality fashion accessories that protect your eyes from UV rays (UVA and UVB). Just for her, the precious brooches from the Unica Collection are crafted in fine silver and brilliant Cubic Zirconia. 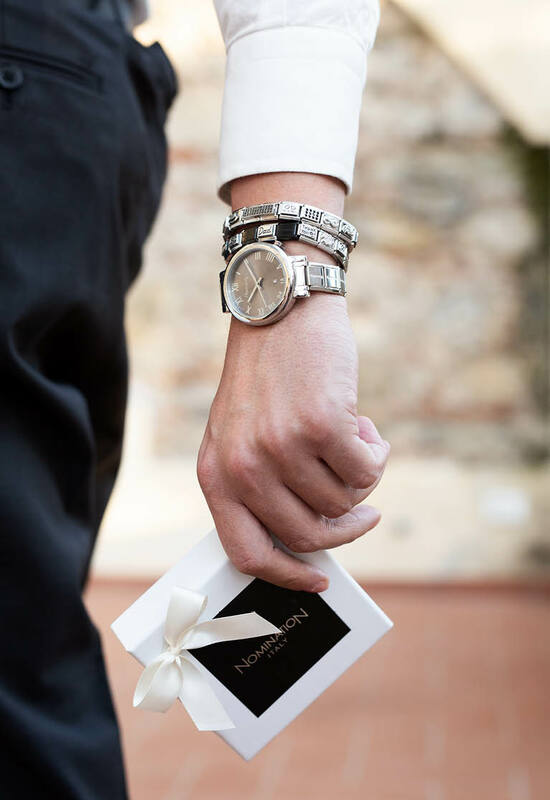 If you’re looking for an original gift idea for a woman who pays a lot of time and attention to caring for her accessories, then the right choice is definitely our kit dedicated to cleaning stainless steel jewellery and to customising the Composable bracelet, thanks to the special key which helps you unhook the Links and insert new Links. 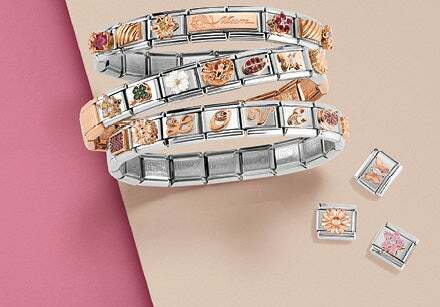 Alternatively, there’s also the elegant jewellery box to neatly store your entire collection of Composable bracelets and the Links used to personalise them. Each occasion requires the right accessory. Dedicated to hectic daily life, the functional key chains keep things in order so you don’t have to waste time searching your pockets or your handbag for the car and house keys. For more formal occasions, a man with class absolutely can’t be without cufflinks for his shirt: among our collections you’ll find both witty versions, for a contemporary look that’s never boring, and more traditional ones, perfect for chic events. Discover all our collection of precious accessories for him and her!